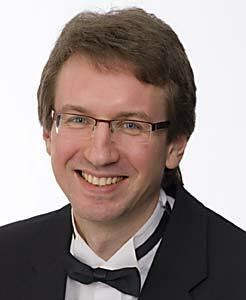 Born in 1969 in Saint Petersburg, Victor Smirnov graduated in Choral Conducting and Music Teaching from the Glinka College of Music and the Saint Petersburg Conservatory (Professor Nesterov). A lecturer in Music and Choral Conducting], he also sings in a number of different choirs and vocal groups. The conductor and singer of chorus of A.Nevsky monastery in St.Petersburg. He is the founder, musical director and manager of the ‘Anima’ Vocal Ensemble, with whom he has given over 1,000 concerts all over the world, participating in festivals and competitions of recognised international prestige. He has also recorded 10 CDs. Workshop member “ Russian sacred music” in Pamplona, Spain in 2008. The participant of jury at 40 choral competition in Tolosa, Spain 2008, choral competition in Varna,Bulgaria 2009. Innokenty Jaroslawsky, Tenor Born 1969 in St.Petersburg (Leningrad) Graduated from Glinka Chorus School in St.Petersburg in 1987. (Specialty: chorus conductor and music teacher). Sings in different ensembles and choruses. of the vocal ensemble "Anima". chorus conductor and vocal Took part at numerous tours with different vocal groups (St-Petersburg chamber choir, Smolny chamber choir, A.Nevsky monastery choir), sung solo in such masterpieces as Rachmaninoff’s All-Night Vigil, Mozart’s Requiem, Tchaikovsky’s “Eugen Onegin”(Lensky) and gave numerous concerts with Russian and West European chamber music. 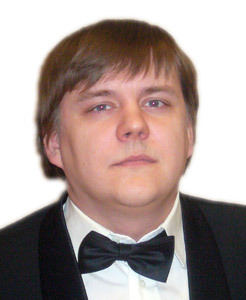 Alexey Buzakin, Baritone Born in St. Petersburg (Russia). Graduated from Mikhail Glinka Music College in 1981 and St.Petersburg Conservatoire in 1997 (Specialty: chorus conductor, music teacher (by Professor Romanovsky). 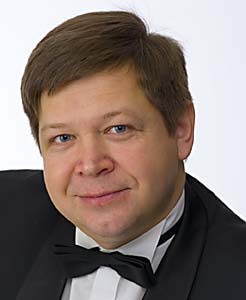 As a member of the St.Petersburg Chamber Choir (from 1990), Alexey Busakin had many hundreds concerts all over the world, took part in many prestigious choral competitions and festivals and recorded 5 CDs. He has been singing in the vocal ensemble "Anima " since 1999. Sergey Pleshak (1970) was born in St. Petersburg (Russia). Being bred in the family of the popular Russian composer and a pianist, he decided to follow the kin tradition, having studied at the M.I. Glinka Choral College at the Academic Kapelle and the N.A. Rimsky-Korsakov State Conservatoire at the choral conducting faculty. His teacher was the distinguished conductor, People’s Actor of Russia, professor Elizaveta Petrovna Kudryavtseva. Having passed the probation at the same class, he got the right teaching at the oldest musical High School of Russia. 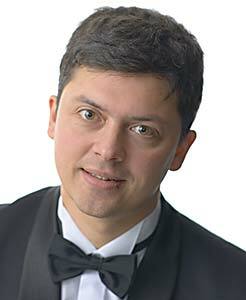 Thus from 1993 he works at the faculties of Choral Conducting and Ancient Russian Vocal Art. As a member of the LEGE ARTIS Chamber Choir (1990 -2005), Sergey Pleshak had many hundreds concerts all over the world, took part in many prestigious choral competitions and festivals and recorded 20 CDs. As a composer received international acclaim at choral music festivals in Italy, France, Sweden, Finland, took part in the World’s Choral Olympics in Busan (South Korea, 2002). 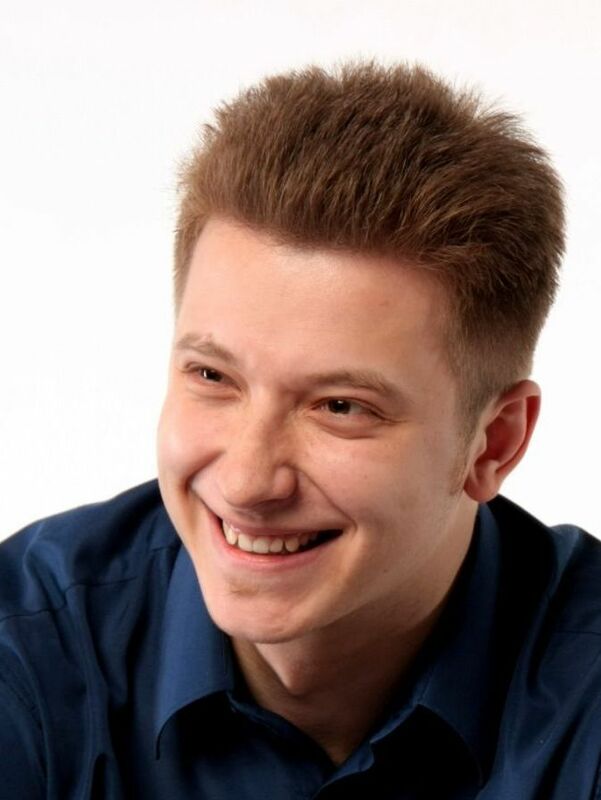 Winner of the III International Young Composers Competition (musicals “Adam and Eve” and “About Josef”). 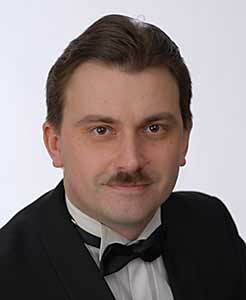 Sergey Pleshak’s works are performed by more than 100 choruses in St.Petersburg and other Russian cities.